Hiep is a Dental Hygienist at Dr. Nguyen’s office and has been with the practice since 2014. He has been a great addition to the staff and takes wonderful care of the patients. You will see him helping elderly and special needs patients down the hall with his arm around them so that they feel comfortable, or talking one on one at eye level with people so that they can see how much he truly cares. Hiep has a very funny sense of humor and loves to talk about sports when he isn’t talking teeth with the patients. He graduated from the Dental Hygiene program at Clayton State University and chooses to continue his education with seminars throughout the year. He will tell you that he is excited about working with Dr. Nguyen, because of the great work environment and great patients. 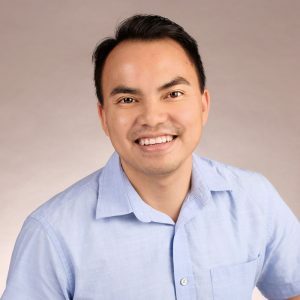 Hiep enjoys playing basketball and working out on his downtime, spending time with his friends and family, and has probably seen every movie ever made. Wave hello to Hiep as you walk down the hall at your next visit.